This boy mummy mask has green skin and gold bandages. 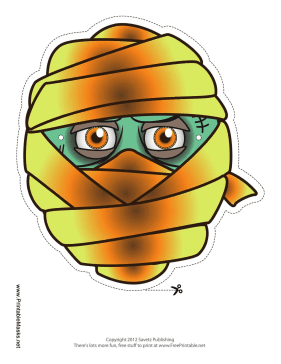 His wrappings hide his face, making this a great mummy disguise. This mask is free to download and print.